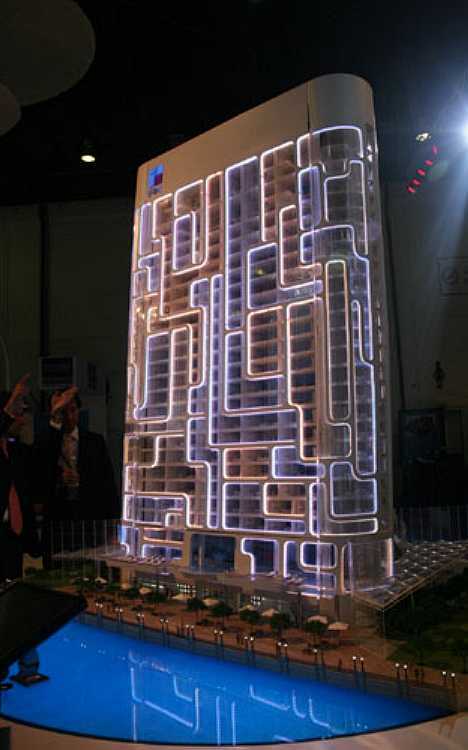 Does your high-rise apartment or office tower look like a mobile phone? These ones do, and you can bet smartphone users inside them get REALLY good reception. 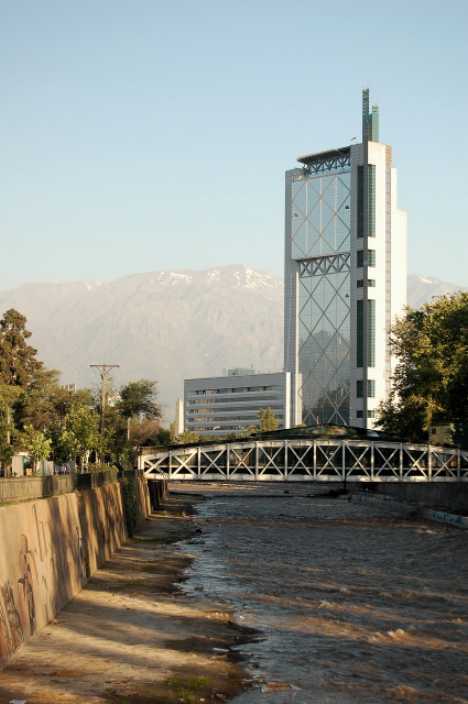 The Telefónica Chile Building (Torre Telefónica Chile) in Santiago was designed by architects Seismic A&E and while the firm doesn’t explicitly say so at their website, the structure was clearly intended to house a mobile telecommunications company – in this case, Telefónica Chile (known since 2009 as Movistar). The 143 m (469 ft) tall tower’s design was an attempt to ape the appearance of state-of-the-art mid-1990s mobile phones… considering the building opened in December of 1995, we’d say the architects achieved their goal. 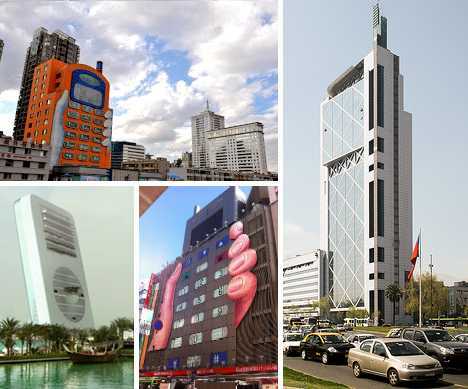 It’s odd, however, that planners did not foresee the continuing evolution of mobile phone design through the Telefónica Chile Building‘s estimated lifespan and indeed, only a few short years after it opened the design was already looking quite dated. 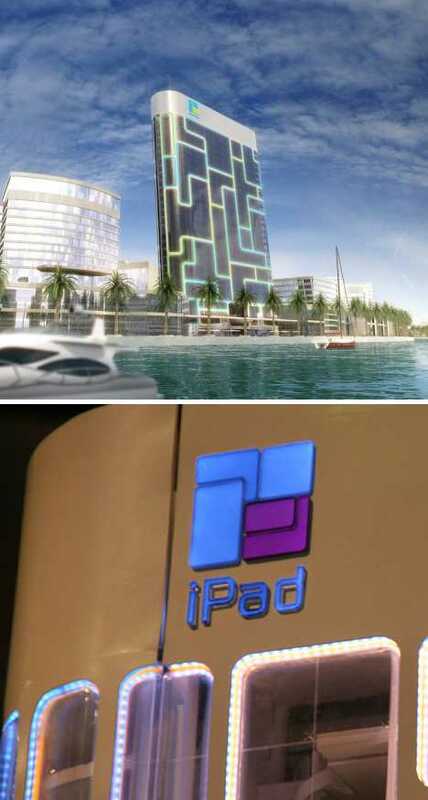 Don’t let the name “iPad” fool you, this 23-story building concept from Omniyat Properties dates from 2007 and its design was intended to evoke Apple’s iPod MP3 player sitting atop a docking station. If the design doesn’t resemble an iPod upon first glance, keep in mind the edifice will lean back at a six degree angle. Omniyat Properties suspended work on many of its planned building designs as the late-2000s world financial crisis bit into investment budgets, and the iPad was one of those to be put “on hold” until better days arrived. By 2010 the design had been re-named “The Pad” for obvious reasons and according to Omniyat Properties over 50 percent of payments required to re-start work on this and other outstanding projects had been nailed down. 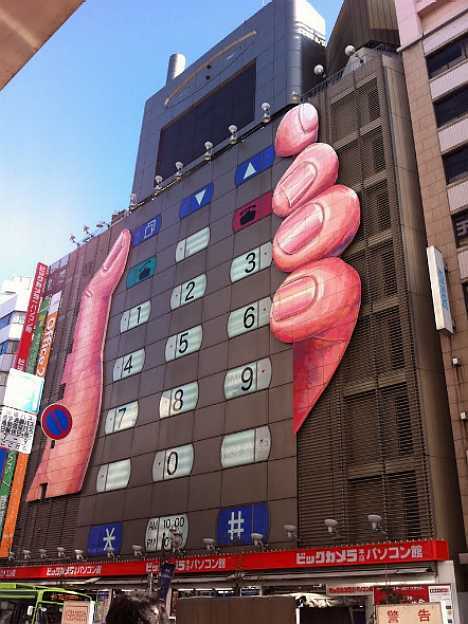 The Bic Camera building in Tokyo’s Ikebukuro district is one of about 40 Bic Camera stores in Japan, though it’s the only one that looks like a cellphone. The building’s facade is actually functional in a way, as the number buttons match the building’s floors and include a short description of what products may be found there. 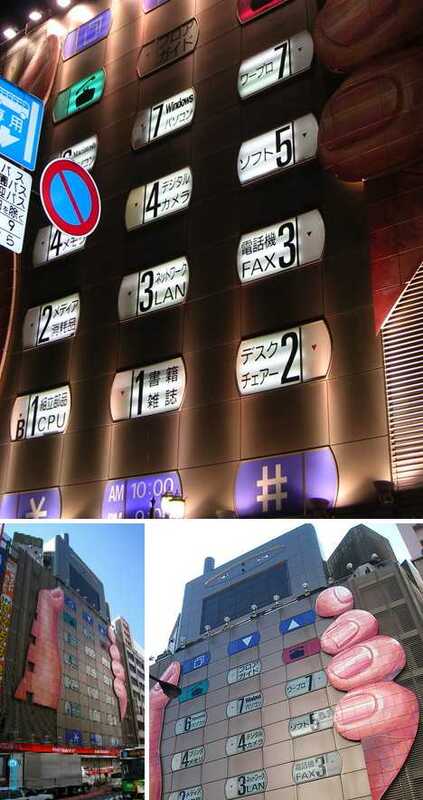 Oddly for a building shaped like a cellular phone, the Bic Camera building in Ikebukuro does not specialize in mobile phone sales. Instead, this particular location predominantly sells computers, parts, peripheral devices and the like.